Above: Best of Breed Airdale Ch Stirling Cool Hand Luke’s handler was dismissed by dog show judge Peter Green because of a conflict of interest. 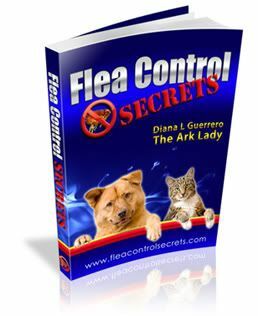 Over at the Pet Connection, Kim brings up the question burning on many people’s brains–why were the two handlers dismissed from the ring of dog show judge Peter Green? If you clear it up for her, clear it up for me too! The dogs were excused from the ring–which is different from being dismissed. D. Situations that require you to excuse a dog entered under you. 1. A dog you or a member of your family has owned, co-owned, sold, boarded, etc. within one year (In Guidelines, with the excusal requirement added, but also in Chapter 11, Section 13). 2. A person who has handled for you within four months prior to the show date (In Guidelines also elsewhere with the excusal requirement added in the “CONFLICT OF INTEREST” section). 3. A person with whom you have a business relationship (In Guidelines). If you are interested you can read the American Kennel Club dog show rule guidelines and you can also view the AKC Code of Sportsmanship. Now for a brief discussion and thanks to those who commented or clarified. 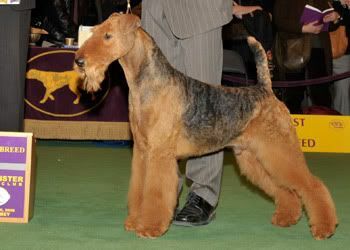 The big disconcerting thing for those involved in the breeds that were excused is that the Cairn and Airedale terriers lost representation at that top level of the show. The handlers and breeders knew who the judges would be in advance. Changing handlers could pose problems in showing the dog but handing them off to another handler would still leave the dogs as clients and the conflict of interest would remain. Changing judges is not something that is apparently done…also there was no guarantee that the dogs would have won and qualified to enter Peter Green’s ring. The owners could have requested a bench committee hearing or pulled their dogs but they instead seemed to opt for the prestigious (albeit brief) appearance. It may be that that could have worked in their favor as they managed to get huge exposure from the public outrage over this excusal. So, you might not like it but this is what I have found as the answer to the burning question surrounding the Westminster Dog Show conflict of interest excusal. I think there should be backup judges just for cases like this. It’s so hard to get so close to winning it all, why shouldn’t the judge dismiss HIMSELF? Because of HIM, two dogs and thier handlers lost the chance of a lifetime! the judges are sequestered so they don’t which dogs they will be judging. i don’t know about changing handlers. it wasn’t explained very well by david frei. i don’t think i’ve ever seen that happen before – david talked about the integrity of the sport – makes me wonder if judges have judged other dogs who should have been dismissed. it stinks for the dog and handler that get bounced. @Carl I just wonder if they could replace the handler. I have written for an explanation but have not heard back from the Westminster Dog Show yet. A breed win at Westminster is one of the most prestigeous honors a show dog can achieve . And Lucas and Romeo just did that. Both of them were the #1 ranked in their breeds for 2008. Westminster is the greatest showcase for dogs and a great promotion for pure breed dogs and the people involve with the sport. To show a dog there or judge at the show is a great thrill. Due to a conflict of interest where the handler and the dogs work and or live at a kennel that is leased from the group judge in this case configure the conflict. At least, the two champions had the right to compete for the best of breed class under different judges and win. Therefore their eligibility to be seen at the terrier group representing their breeds but not been able to compete in name of fairness. This may had been the first time this situation presents itself at Westminster but not on regular shows where the dogs may simply be withdrawn from the group ring altogether. Mr. Green is one of the most respected and knowledgeable terrier people in the world and every exhibitor and public in general awaited for his opinion on that night a thrill and an honor for the competitors who were lucky enough to get before him. Such thrill Lucas and Romeo were able to briefly share at the Westminster ring. Next to the rest of the champions celebrating the sportsmanship of the dog world. @Ernesto: Thanks for dropping by. I believe you are the Ernesto that had a win in 2005? I wrote the Westminster Dog Show asking for the rules–without a response so I appreciate your dropping by. I am assuming that the dog and handler are a critical piece in the show ring and wonder if there isn’t a way to circumvent future issues such as this. Let me know if you are familiar with such a thing. Look forward to seeing your dogs in the future! Thanks Ark Lady for the comment on this topic on our blog. I appreciate being able to read a statement from Ernesto here. Hey Rose, I appreciate your stopping by. Just found your blog because of this issue and put you in my reader! Keep in touch. Ditto, I just added your RSS feed to my reader. Thanks! 😉 Groovy! I find it is the easiest way to keep up with those blogs that interest me.